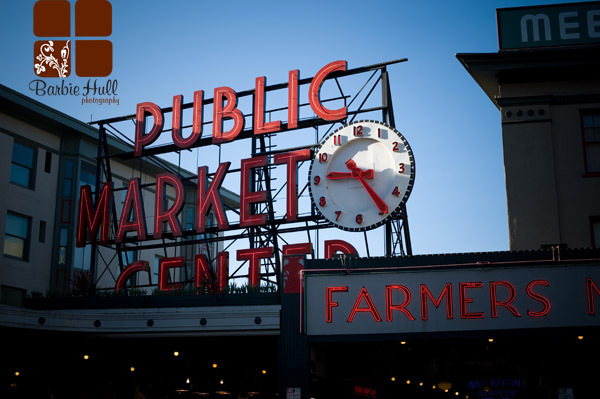 So – whether you are from out of town or a local here in Seattle – Pikes Place is a fun place to spend the day! Angela Shen (owner/mastermind of Savor Seattle) thought so too, so she created a super fabulous tour that lasts about two hours and takes you to a few of the hot spots in our favorite market. On Sunday morning Brooke & I joined the group for some tasty treats and learned so many fun facts…. here are just a few of the many many photos taken that morning. ~ Enjoy! 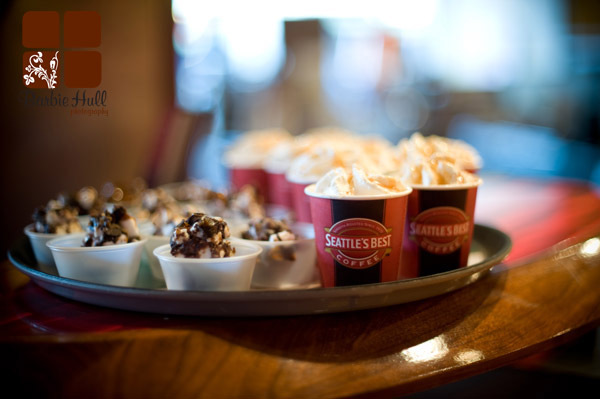 We started our tour at Seattle’s Best on 1st & Pike – already off to a fabulous start!! mmmm! The big group ~ we had people from all over the country with us – so fun! Angela Dewitt commonly referred to as Angela #2 was our guide. They have the most creative names for their tea!! This was put up for all of the Japanese people who were forced out of the market so long ago… sad. Did you know the eggplant is in the berry family?? (so true!) and that there are girl & boy eggplants?!?! looks like more treats for us – this time cheesecake from the Confectional smothered with cherries from our favorite place – Chukar Cherries. This was us eating some life altering cheese – at Beecher’s – YUM!! Fellow Cheese lover Jen writes a blog post on entertaining with Cheese Fondue! Check it out! This Russian owned Piroshky’s has not only fabulous food but a really sweet story about their opening!! And of course we ended the morning with a sweet glass of chardonay at the Tasting Room. Delicious! 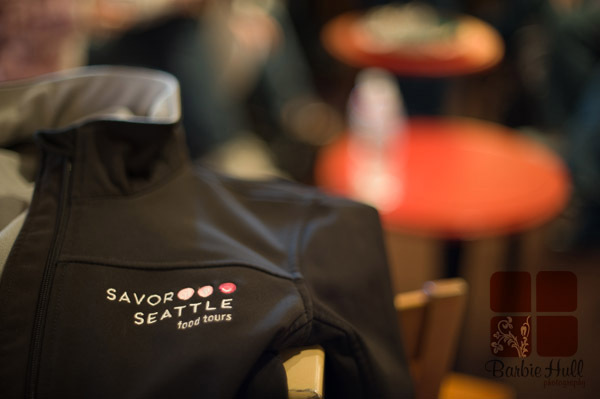 Being on the Savor tour we were able to get 10-15% off all of our purchases – so cool! She also gives a discount for wedding parties! So for all of you planning a Seattle wedding and have guests coming in from far far away – this would be a great adventure for them!